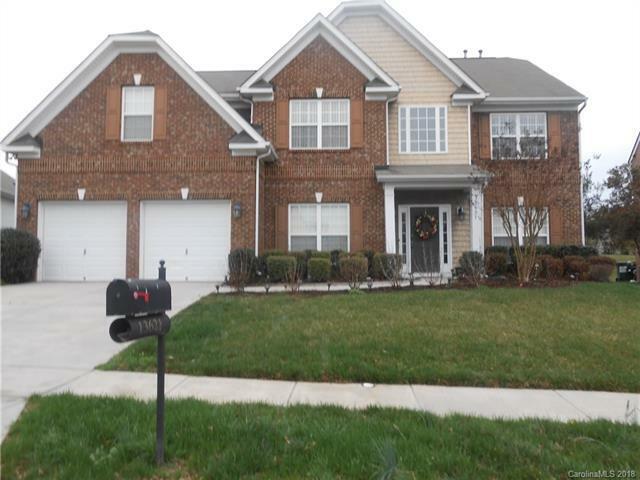 13621 Porter Creek Road, Charlotte, NC 28262 (#3364240) :: Robert Greene Real Estate, Inc.
Beautiful 2-Story Move in Ready home with Formal Living Room, Formal Dining w/Wainscoting and trey ceiling. Kitchen/ Island, backsplash and granite counters. Fresh paint and new carpet just installed throughout the home. Wood floors in entryway, family room and kitchen. Dual stairway leads to kitchen. Oversized Master suite with sitting area and trey ceiling. Upstairs family room/5th bedroom is very spacious. Outside sprinkler system and oversized patio. Buyers won't be disappointed with this lovely home. Offered by Suntrace Realty. Copyright 2019 Carolina Multiple Listing Services. All rights reserved.